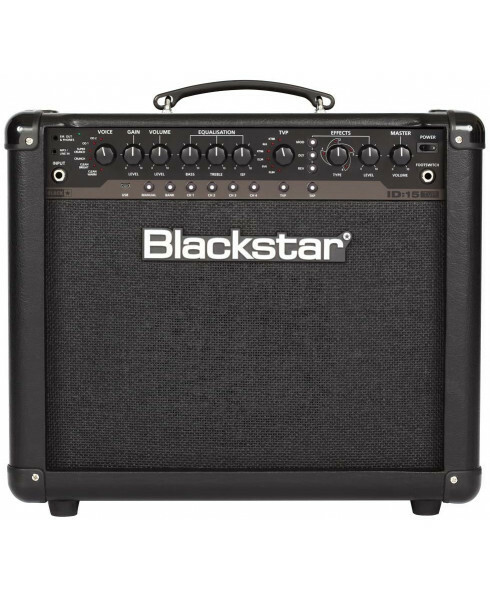 Combo Guitarra Eléctrica Blackstar ID:15 TVP. 15W programmable combo! True Valve Power - LOUD as Valve! Voice - select from 6 classic channels! 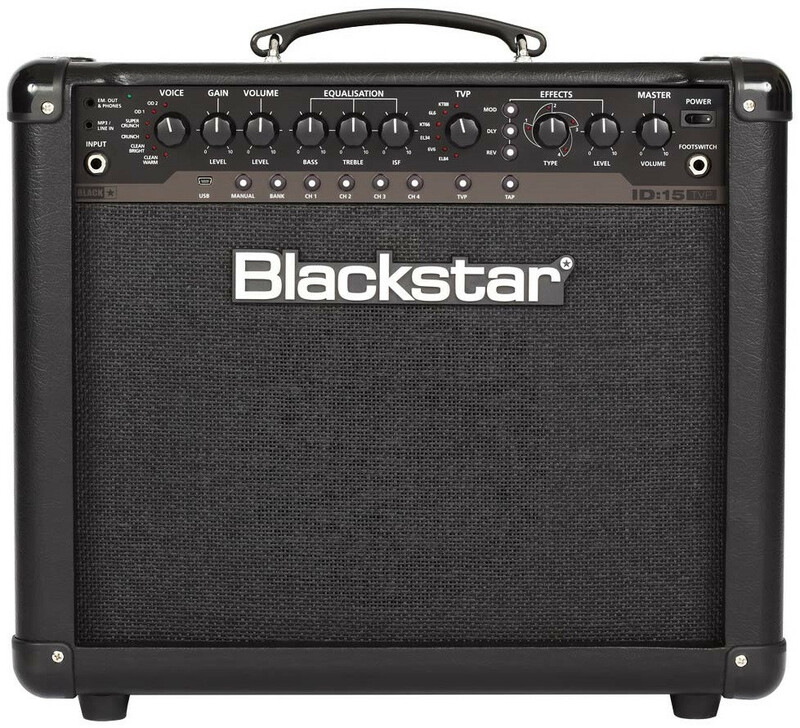 When engaged it delivers the response, dynamics, sag and break-up characteristics of a valve amp and uniquely delivers the same acoustic power output as an equivalent valve power amp. This means that for the first time ever, in an affordable series of amplifiers, these products deliver live without compromise - True Valve Power means LOUD as valve™. 12 vintage style studio quality effects - 4x modulation, 4x delay and 4x reverb effects, specially voiced for electric guitar and delivered in massive SUPER WIDE STEREO.